Ready to join? Then you probably have some questions. Email Stephanie and she will get back with you as soon as possible. The Webelos have been invited to attend the Troop 197 meeting on September 25th. Please RSVP on the Webelos 2 RSVP page so that we have an accurate count. We will be meeting on Tuesday, September 2nd, at 6:30 PM in room 108. 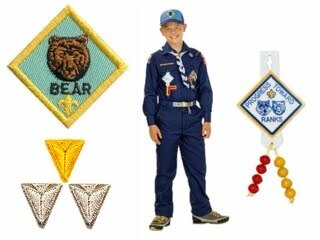 We will be learning about the Boy Scout uniform, the First Class Badge, and discuss visiting Boy Scout Troops.